Protect and secure important documents and items while they are in transit with self-seal polythene mailing envelopes. Lightweight but extra strong with tough and durable features, our polythene mailing bags guarantee to deliver a highly reliable performance whilst keeping the weight to a minimum. 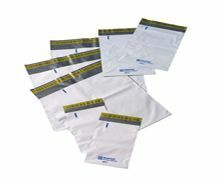 Choose from Mail Tuff opaque polythene envelopes and grey polythene despatch sacks. 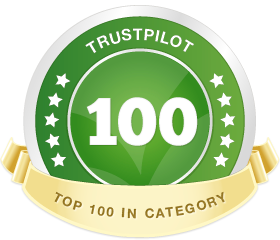 Polythene mailing bags resist tears and punctures as well as protecting from dirt, dust and water, which makes them ideal even in harsh UK weather. And as they come in various sizes, our range of polythene mailers gives you a wide choice for your specific mailing needs. Wet weather can harm the contents of paper envelopes or paper parcels in the post, so it’s reassuring that our line of polythene envelopes provides a tough and reliable packaging material for items such as important papers, fabrics or other valuable items. 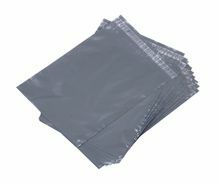 This range of polythene mailers is highly protective, in a strong grey or the Mail Tuff envelopes in an opaque material. Available in different sizes, these self-seal polythene envelopes are sure to get your mailings and packages safe and secure to their intended destination. Lighter and stronger than conventional paper envelopes, polythene envelopes are ideal for many business or personal mailing needs. The polythene mailing bags are ideal for posting bundles of paper or fabrics as they do not burst even when overstuffed. They are convenient to use, with a write-on surface and a self-seal feature, which also helps you check for tampering.